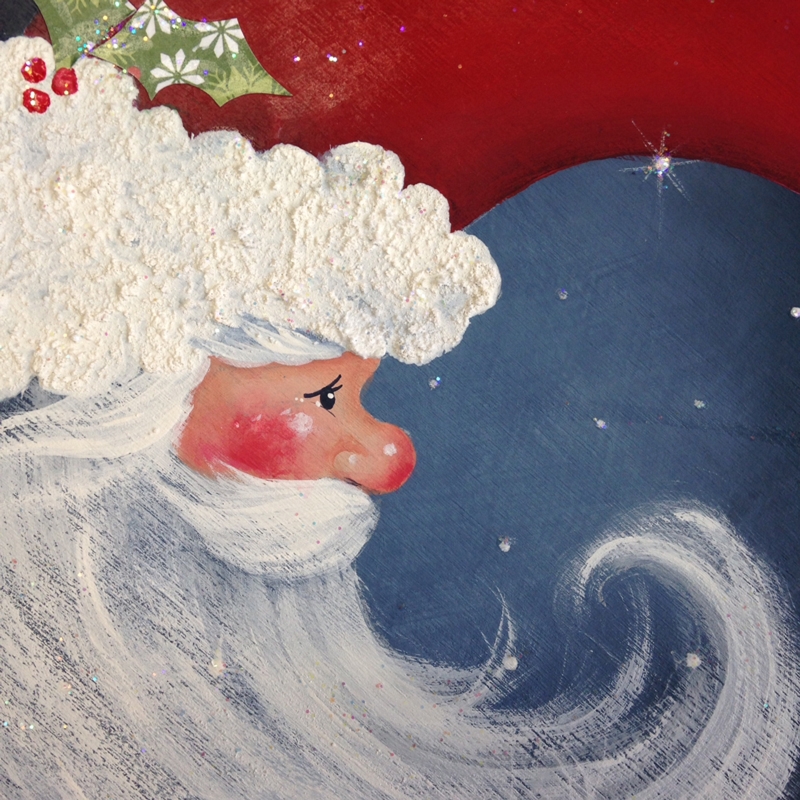 "Wish I may, wish I might..." Wise old Santa-moon gazes at the stars. 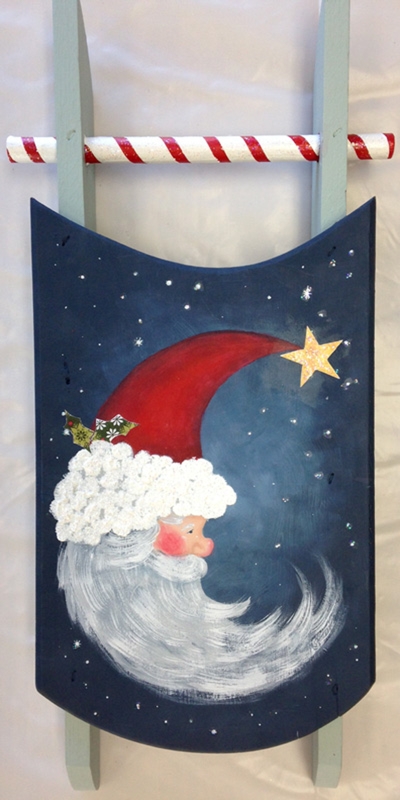 This is a fun-to-paint project for all skill levels. 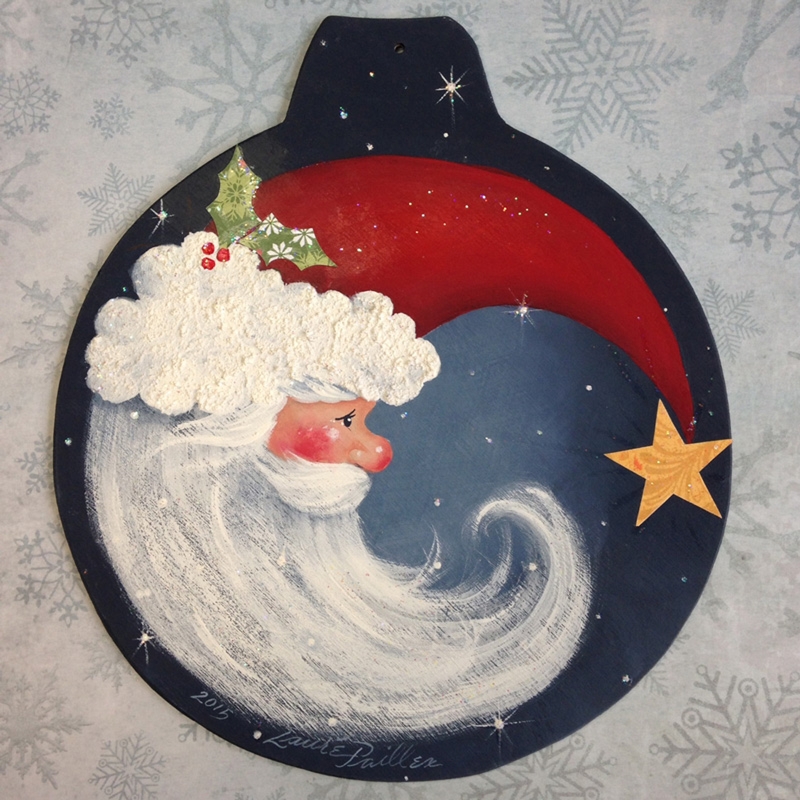 It's featured on a large round ornament cutout from JB Wood Products (Item #0664). Surface size is approx. 7 inches in diameter. The pattern also works well on a variety of other surfaces such as plates, wreath inserts, dome-shaped plaques - and sleds! DecoArt acrylic paints and mediums are listed in the packet instructions. A collection of printed ephemera stars and holly leaves are included for decoupage accents.